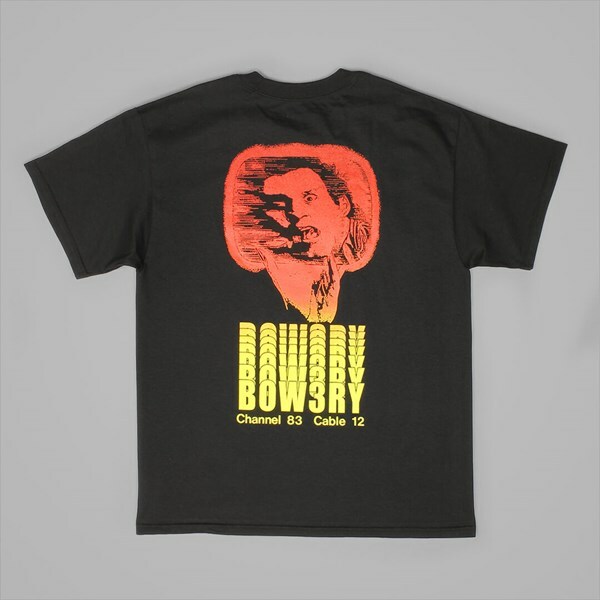 More heavy, provocative graphics have arrived at Attitude on some seriously high quality apparel and accessories, courtesy of Australian label BOW3RY. As we know from the last collection, t-shirts are some of the brand's strongest items, and that is again the case this season. Here we have the Civic TV Premium SS T-Shirt in Death Black. A 100%, 200GSM cotton construction gives the t-shirt remarkable levels of softness and quality, offering a nice relaxed fit and insane comfort. The short sleeves are functional, enhancing both breathability and freedom of movement significantly, and the neckline is ribbed to reduce friction which you'll particularly notice when skating. 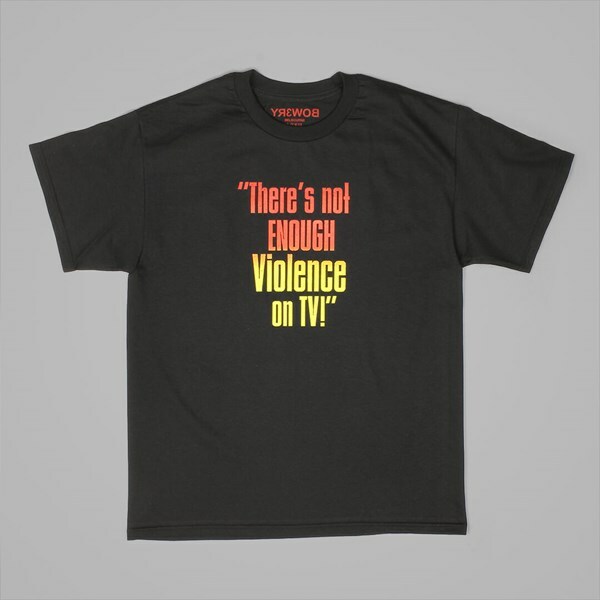 On the back there's a crazy gradient filled graphic with repeated BOW3RY text and a blurred man's face, with matching gradient filled "There's not ENOUGH Violence on TV!" text on the front, a quote from Lee Marvin. Both graphics have been printed using a plastisol screen technique, making them smooth and durable. BOW3RY's second collection to arrive here at Attitude, featuring gritty, gothic graphics throughout, is available online here at Attitude and in our Colchester store.